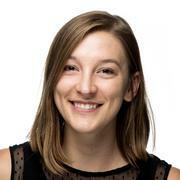 After college, Andrea started her journey in tech as an intern-turned-Technical Project Manager at Opower, an energy-efficiency tech company in Washington, D.C.. She moved to San Francisco to work as an Operations Manager at healthcare startup Forward, and subsequently joined Opendoor’s Business Operations team. Andrea enjoyed partnering with technical teams to solve customer-facing issues, and her interest in software engineering solidified after learning SQL, which enabled her to conduct data analyses, build team dashboards, and troubleshoot tooling and data bugs with the engineering team. Andrea is excited to bring her problem-solving skills and operational knowledge to a full-stack development position after Hackbright. Reva is a restaurant reviewing application that gives users deeper insights into the factors that drive a restaurant’s rating. Reva’s restaurant search, powered by the Google Places API, allows users to find restaurants near their location and read or add reviews rating the quality of food, service, and cost. Users can optionally tag the review with dishes they ordered, as well as upload photos, which are stored using Amazon S3. Users can compare restaurants by Reva rating, which is calculated by a personalized algorithm based on their preferences, and find the highest-rated instance of a dish across multiple restaurants. Additionally, Reva enables users to save their favorite places and view friends’ reviews and favorite restaurants. Andy graduated in 2009 with a degree in Political Science and a strong interest in education, and ultimately parlayed her organizational talents into Project Management roles at a series of EdTech companies. She would go on to become a Certified Scrum Master, and relished every opportunity to coach new teams, focusing particularly on creative planning and retrospective techniques. After working alongside software engineers for six years, Andy decided that she wanted to be the one building cool things, and came to Hackbright to learn the skills she needed to become a full-stack developer. ReadSing is a web app that allows the user to search for a book and be recommended a list of playlists based on an analysis of the book’s description. ReadSing searches for books using the Goodreads API, and parses the description using the Proxem Key Terms Extraction API, finally searching those terms on Spotify. Playlists that match multiple key terms are ranked as a better match for that book, and users can immediately click to open a playlist in Spotify. ReadSing also caches previous searches and displays recent searches on the homepage. Elizabeth (known as E.J.) came to Hackbright after helping run a community pool in Pittsburgh, PA where she helped manage a staff of 10-20 employees and taught community members of all backgrounds how to swim. Prior to that she went to school for biology at a small liberal arts school. While that work was fun, she found herself craving more challenging problems that required creative thinking. E.J. started teaching herself how to code to automate some aspects of her job. She very quickly realized she enjoyed it far more than her day job and decided to move across the country to attend a Hackbright. E.J. hopes to combine her love for teaching and community development with her programming skills in her new career as a software engineer. Hap.py is designed to encourage users to have fun and be silly. They can create a profile, upload videos, get points on their videos, level up over time, and give other users points. All of their information, videos, and points are stored in a complex PostgreSQL database. They can see their current level and progress over time on their profile page which is created with Chart.js. E.J. taught herself Python using various websites and books. Prior to that she used Excel extensively to analyze data for various research projects in college. For some of the more complex projects she also used MATLAB and already existing Python programs. Gabriela graduated from Stanford University with an M.A. in Education and from Williams College with a B.A. in Film & Media Studies. As a fifth grade teacher, Gabriela loved the creativity required to design curriculum that met her students’ needs. She collaborated with colleagues to develop tools and systems to monitor student learning and professional growth. After teaching a lesson on growth mindset, Gabriela realized she had to lead by example. She chose coding as a way to push herself and conquer a new industry. She quickly realized she loved the logic and creativity behind coding and decided to study full-time. Now Gabriela looks forward to working as a software engineer at a company where she can combine her skills and interests. CarePool is a city to city rideshare application that gives users visual feedback on their environmental impact. Target users are people without a car who visit family across the state, travelers without a car, and people who want to reduce their carbon footprint by having fewer cards on the road. CarePool also makes long distance traveling more economic. Using the Google Places API, users can add and search for rides. If a ride to a destination is not found, nearby rides are returned using the Google Distance Matrix API. With the Twilio API, users can quickly send updates. Also, users receive visual feedback with ChartJS on how much CO2 they have saved over time by carpooling and how much CO2 would have been emitted if each user drove. 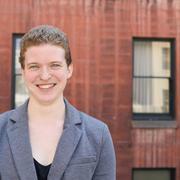 Prior to Hackbright, Janet Anne graduated from the University of Southern California with a B.A. in Public Relations (fight on! ), then worked in social media marketing for 5 years, and HR for 2 years in the entertainment & tech industries. 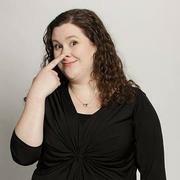 Most recently, she worked as a coordinator running event logistics for Uber’s corporate new hire on-boarding program. While working with various HR systems and Google Sheets formulas, creating process flows, and automating as much of her role as she could, Janet Anne found a passion for problem-solving that led her to pursue programming full-time. Looking forward, she is excited to combine her years of marketing and design experience with her technical skills to work in front-end engineering or UI/UX. Outfitless helps users organize their closet, choose outfits, and keep track of their clothes. Users sign up with their Google account, using Google OAuth 2.0. Once logged in, users upload photos of their clothes. Photos are processed by the Clarifai API to suggest descriptions for each piece. Users input descriptions, clothing type, & cost. The app randomizes the closet to offer an OOTD (outfit of the day). Over time, Outfitless will indicate how many times each piece has been worn, as well as calculate the cost per use, to show users which pieces in their wardrobe they use the most. In the next sprint, the app will include data visualization of the closet, and remind users to wear pieces or encourage them to donate or sell on Poshmark. Janet Anne has worked in tech for the past 3.5 years in different roles at Google, Reddit, and Uber. She taught herself SQL and various Google Sheets formulas to automate various tasks, and completed Hackbright Academy’s Prep Course where she learned the basics of Python. Prior to that, she taught herself introductory HTML & CSS at a young age through creating her own blog layouts on Xanga and MySpace. Kasey began her path into tech more than two years ago while working as a baker. While baking nurtured her creative spirit, she has always had an analytical mind. Kasey received her B.A. in Chemistry then attended graduate school for Natural Products Chemistry. Wanting greater career flexibility and more diverse learning opportunities, she decided to take a step back, work in food service, and research a new career path. She soon discovered the vast world of technology. After doing online tutorials, reading plenty of articles and books, she completed a Udacity Nano-degree in Data Analysis in which she learned the Python programming language. Kasey is excited to apply her software engineering skills in real-world applications. Food Trends is a web application that discovers popular ingredient pairings in the blogosphere. It is intended for food bloggers, writers, recipe developers, and foodies looking to tap into current food trends. Ideally, the app could serve as a source of inspiration. If a user has a particular food in mind, they can search for that food or ingredient. The app searches through blog post titles with that food, uses Spoonacular’s API to parse the titles, then builds all combinations on the back-end. Searching returns foods or ingredients that bloggers have paired with the original query. The app generates a D3.js visualization demonstrating those pairing popularities. Users can also look at recent search results. Udacity Nano-degree in Data Analysis. She graduated with a Master of Science in Medical Physics in 2014. For two years Małgorzata worked as a Medical Physicist in the radiotherapy department at a medical service provider in Poland. Her role was to optimize the approach for radiation treatment, monitor therapy treatment, monitor the quality of the radiation and collaborate with medical staff. Prior to that she took a 4-month engineer internship in CERN (Geneva, Switzerland) where she took care of the energy extracting system’s elements. Since programming skills are needed across all industries she decided to pursue the software engineering program at Hackbright Academy. In the future she would like to combine her knowledge of science, programming skills, and passion for medicine. Dietly is a full-stack web application which creates a personalized meal plan for the user based on the number of calories, macro-nutrients (both with hard-coded bias), users’ allergies and chosen diet type. The app also displays a shopping list. Additional feature is ‘Make a meal from your fridge’ which allows the user to choose several products from their fridge and returns a list of recipes which could be an inspiration to cook a meal. The next sprint will include using Amazon API to allow the user to shop online. She took one semester of fundamentals in C and Java programming in the AGH University of Science and Technology (Cracow, Poland). 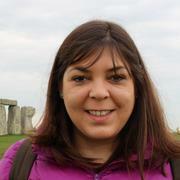 She took class of introductory to LabView and Statistica (also using Statistica during preparation of Master Thesis). She was using OriginLab to analyze data during her laboratory classes and Matlab to create matrices in case of her Engineering Thesis. During her former career she worked on software dedicated to radiotherapy. She has been a Linux user for 10 years. Before Hackbright, Marta worked as a science teacher in a public high school. And prior to that, she assisted Barcelona’s citizens by phone. She also worked as a pharmaceutical sales representative for a lab when she finished her BS in Biology. She always pushes herself and faces challenges coming up to her life with hardworking. She loves solving problems and science. 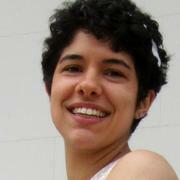 She was already studying programming in Barcelona when she was relocated to the Bay Area. When she arrived to California, she saw the great opportunity to move forward in her career. She’d like to get a job in the tech field to continue developing her skills. This is a web application that allows the user to select restaurants from San Francisco and shows the average tip that is given for lunch and dinner. The user can also see what is the average tip by zipcode instead of restaurant. Users are asked to input the price and the percentage tip of their meal and the application returns how much the tip is and its total cost. She had nearly completed a program called Multiplatform Application Development in Barcelona when she was relocated to the Bay Area. Subjects included computer systems, databases and programming in Java. 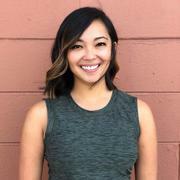 Prior to entering Hackbright, Megan studied Mathematics, Biology, and Chemistry at Eastern University and was a Clinical Research Coordinator in the Division of Vascular Surgery at the UCSF Medical Center. Megan had been briefly exposed to coding in an introductory C++ course in college, but decided to pursue software engineering full-time after moving to the Bay Area with her husband, who is also a software engineer, and working at UCSF, where she became interested in the ways that technology positively impacts and transforms research and healthcare. She enjoys the critical thinking and problem-solving required by math and medicine, and hopes to utilize those skills in a full-stack software engineering role post-graduation. Essentially is a web app that provides users with a simplified analysis of their spending habits, on their terms. Users connect to their bank via the Finicity API and Essentially aggregates the user’s transaction data, asking them to categorize each transaction as “essential” or “non-essential”—definitions that are decided upon entirely by the user, and may change over time. Recent transactions are loaded upon login, and after the user categorizes their transactions, a dynamic chart is displayed that depicts the total amount spent on essential and non-essential items. The intent of Essentially is to present data to users that will compel them to consider what they spend their money on, and whether it truly is essential. 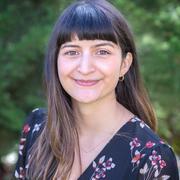 Prior to enrolling in the full-time program at Hackbright Academy, Megan completed introductory courses in both C++ and Machine Learning, and became familiar with the data analysis capabilities of STATA in her most recent role as a Clinical Research Coordinator at UCSF. Michelle is a former audit-bot turned bot creator. She was previously an auditor at a public accounting firm where she performed financial statement audits. In 2016, she moved to San Francisco while continuing to work remotely for her firm. During that time, she worked on side projects exploring ways to automate repetitive tasks she encountered as an auditor. Michelle believes technology is the most impactful tool in the world to make a difference, which moved her to make the leap into software engineering. She loves the constant learning and creative problem solving that programming entails and looks forward to combining her accounting and finance knowledge with her programming skills set to help make positive changes. Humano is an app that helps users alert their friends, family members, or other contacts with the click of a button. Humano was designed for undocumented immigrants who are in fear of being detained or deported by law enforcement, however it could be a general platform for emergency notifications. A customized message along with the user’s location is sent to their network using the Twilio and Google Maps API. Once a user has set up their account, Humano provides resources to help educate users about their legal rights, search for lawyers in their area (using the Google Places API), and get the most recent news regarding immigration (using the News API). Michelle learned HTML and CSS during the MySpace and Neopets era. Within the past year, she started to self-learn by reading HTML and CSS: Design and Build Websites and Automate the Boring Stuff with Python. Before joining Hackbright’s Software Engineering program, Michelle completed Hackbright’s Intro to Programming Prep Course where she built Connect 4 as her final project. 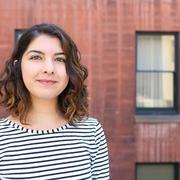 Before Hackbright, Shiran completed her B.S in Electrical Engineering in Tel Aviv University. Prior to her studies, she traveled extensively through her job as a sales manager, and worked in different places such as Australia, New Zealand and Scotland, until she realized her passion for technology. During her studies, she spent two years teaching math and physics at an international school in Israel. In addition, she completed different courses in computer science, which led her to develop a love for building new things and problem solving. 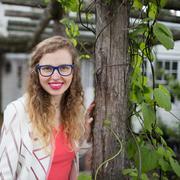 Moving to San Francisco inspired her to dig deeper into software and attend Hackbright. Now she looks forward to incorporating her different skills into her future software engineering role. Travelary is an app that helps users plan out their travels and store their itineraries. For every trip a user adds, they can add several attractions (restaurants, museums, parks, etc) that are rendered in a map or calendar view. Each attraction is then rated by the user for future reference. There is also a social aspect to the app, where you can share your trip with friends by inviting them to be admins and contribute to the trip, or just follow it without making changes. Users can also upload photos to their trip or to specific attractions, in order to share with friends (trip admins and followers). If a user wants to create a trip, but doesn’t know exactly where to go, they can get ideas by exploring public trips from other users. Prior education – Shiran has a Bachelors of Science in Electrical and Computer Engineering, with majors in Computer Science and Materials Science, where she learned C.S fundamentals such as data structures and algorithms, coding in C, digital logic systems, computer organizations and programming systems. Prior to starting with Hackbright Academy, Yao worked as a licensed CPA and accounting manager at a tech start-up managing corporate financial statements and various corporate taxation projects to adhere to compliance requirements. She developed an enthusiasm for programming while working with developers on an internally designed early stage Enterprise Resource Planning (ERP) system. As a child, Yao had a great passion for problem-solving and her favorite game was Sudoku. Solving programming problems reminds Yao of how much she loves to identify patterns and solve problems. Yao would love to utilize both her strong accounting background and newly gained programming skills to contribute to building amazing products. Built a multilingual chat-app that connects to Google’s translation API. It allows users to chat in their language of choice by translating messages in real-time. Despite the language that the original message is written in, users will always receive the message with their default languages. Yao worked closely with the SWE team at the tech start-up company she worked at previously to develop tools for payments, vendors and product costs management. She took an online course: Harvard CS50 Introduction to Computer Science, where she learned a great amount of CS concepts. 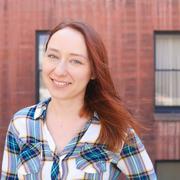 She self-taught Python before Hackbright with a book called Automate the boring stuff with Python. Yao’s most recently technology related reads is the Phoenix Project.